This keyboard is in excellent condition and shows only very minor signs of wear from previous use. 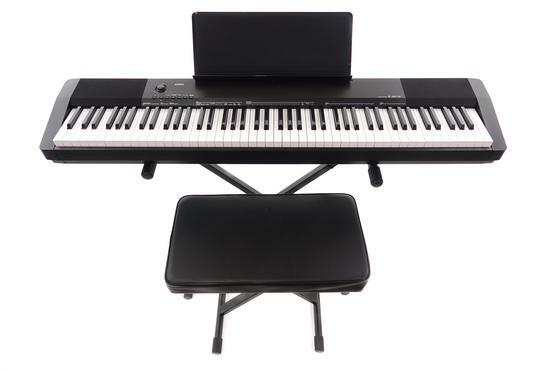 Keyboard comes with keyboard 'X' stand, stool, power supply. Please Note: No pedal included.